Grind coffee beans, boil with piece of chocolate and ground pepper. If you prefer coffee with milk then boil everything with milk. 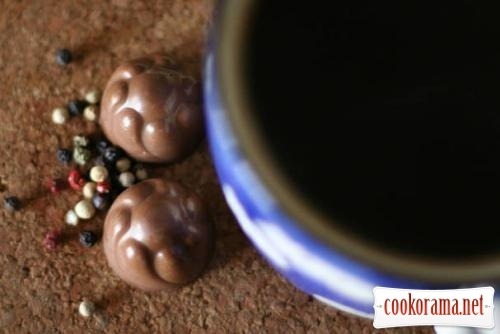 Add all ingredients to taste, we used 2 chocolate pieces and about 1/2 teaspoon ground pepper for 2 cups. Very original flavor — hot-spicy and gently sweet at the same time. 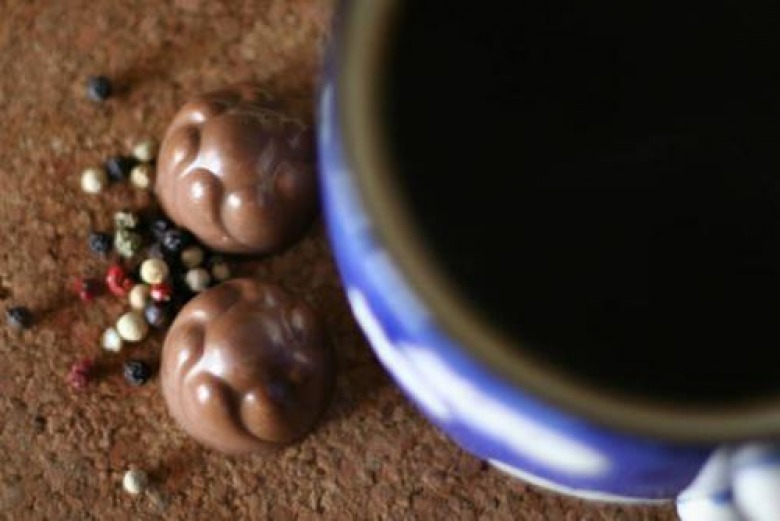 Top of recipe "Coffee with pepper"